Aside from the person who had the initiative to film this deplorable event, it doesn’t look like anyone bothered to intervene. As for the drunken English hooligans…..
I’m ashamed to belong to the same (human) race as them. Here’s a photo of a millefeuille. 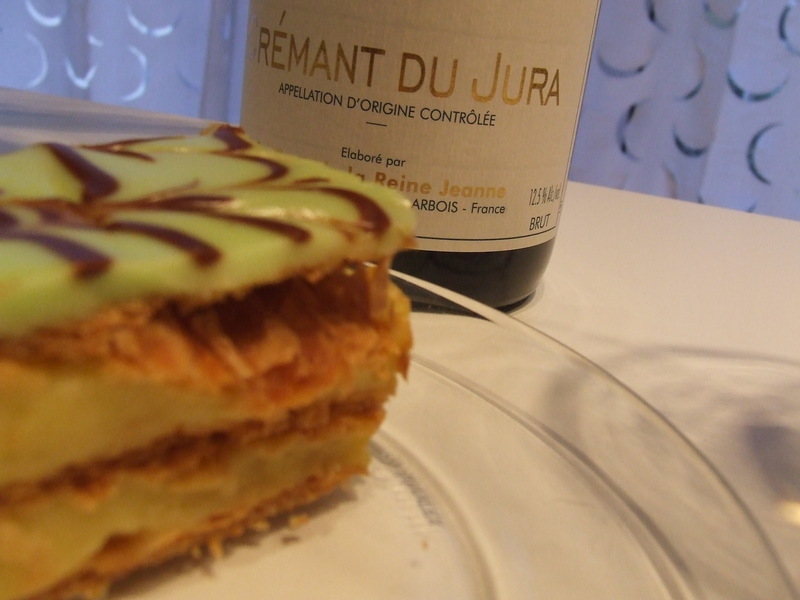 Millefeuille means a thousand leaves, as in the multiple layers of delicate puff pastry interspersed with layers of pastry cream, which is really a delicious custard. The top layer is always glazed with icing in alternating colours. Despite the green-coloured icing, this one is not pistachio-flavoured. 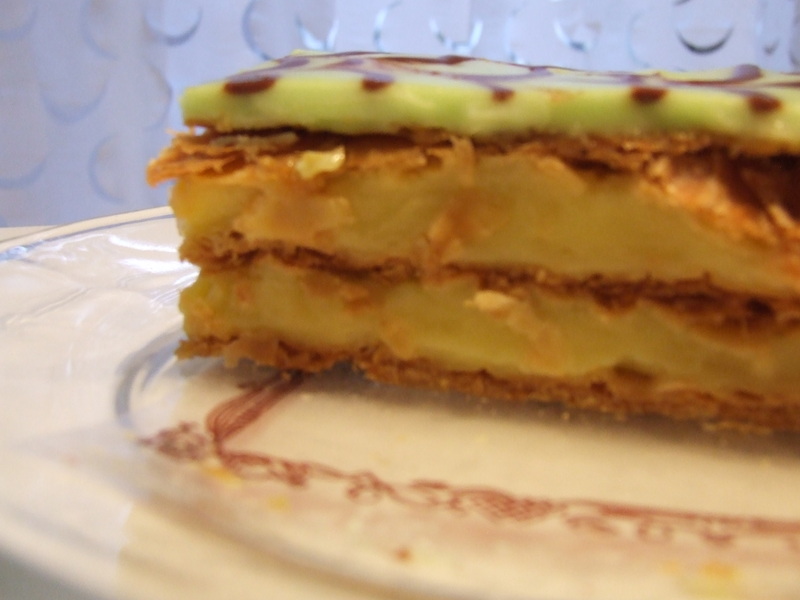 I’m beginning to wonder if pistachio millefeuille ever existed in the bakery at the end of my street. Every time I go in and ask for one, the woman says there are none left. Was it a flaky figment of my imagination? 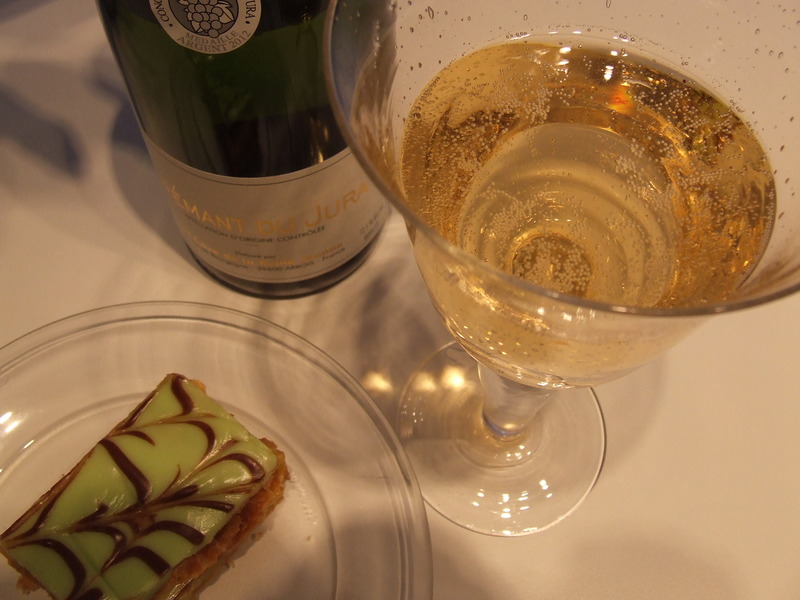 Drinking chilled crémant is an alternative to drinking tea with French pastry. From only 5 to 7 euros a bottle, as opposed to 33 euros for a good bottle of champagne, I pick up a bottle of crémant at the supermarket like I pick up a bottle of wine. It makes a delicious apéritif with a splash of crème de cassis (blackcurrant liqueur) thrown in. For purists, however, it’s nice on its own. 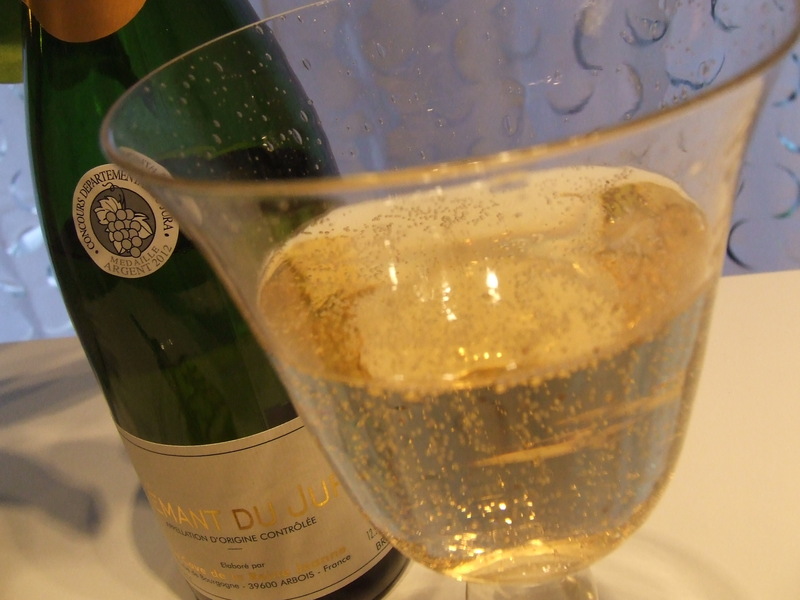 The best example of sparkling wine is champagne from the Champagne wine region of France but, as you know, under AOC regulations (Appellation d’origine contrôlée), all sparkling wines using the champagne method but produced outside of the Champagne region, are forbidden to use the appellation “champagne.” Yes, the French are highly protective of their regions. 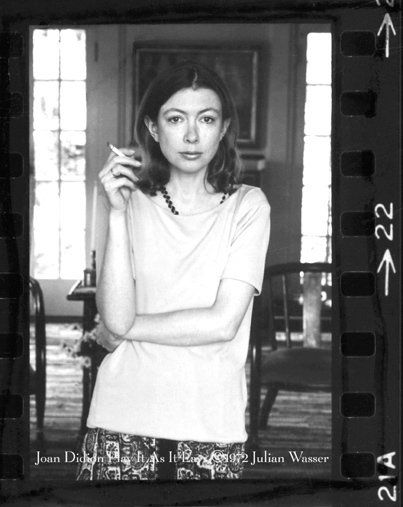 Author, screenwriter, essayist, journalist Joan Didion….the high priestess of literature. I have devoured all of her books. 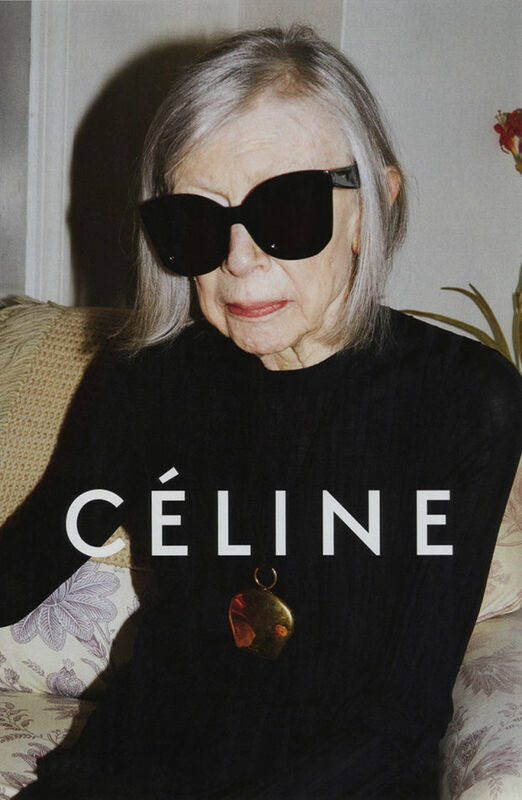 Now 80 years old, Didion is the égérie of French fashion house, Céline, in their Spring 2015 ad campaign. How cool is that? In the same way, Saint Laurent (they’ve dropped the “Yves”) invited Joni Mitchell, 71 years old, to be in theirs. Didion’s nephew is Griffin Dunne, actor, film-maker and son of Dominick Dunne. For those who haven’t already seen the short documentary film he made on his famous aunt, here it is below. It is sad….very sad….and beautiful. For those who don’t know, Didion published a magnificent memoir with an equally magnificent title – The Year of Magical Thinking – following the sudden death of her husband (as they were sitting down to dinner in their Manhattan apartment) in December 2003. Tragically, her only child, Quintana Roo, aged only 39 and a recent bride, died in 2005. In Didion’s book, Blue Nights, she has pieced together literary snapshots, and retrieved memories about her daughter’s life and death.